Overspray removal is one way to quickly and drastically improve the look of your car, truck, minivan, or other vehicle. When you deal with the right overspray removal experts, the process is quick and painless — and the results sure to please. But for some drivers, simple ignorance stands between them and the best-looking car that they could own. Not all of us know what overspray is, so let’s clear that up. Here’s what you need to know about overspray, overspray removal, and keeping your car looking its best on the road. Cars, trucks, and other vehicles are supposed to look smooth and sleek. Even matte paint jobs are supposed to be applied smoothly and evenly over an unblemished surface. Your vehicle might be ready to carry you over rough roads, but “rough” isn’t a word that you want to describe your car’s finish! 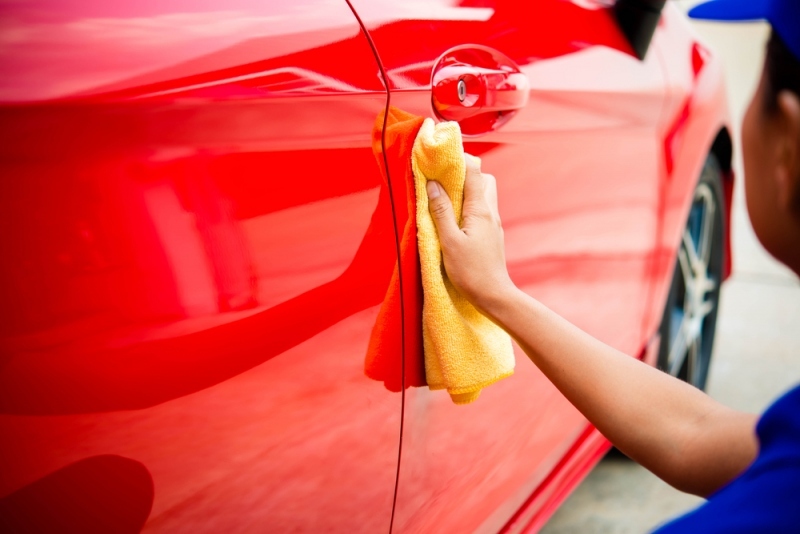 Despite this, you’ve probably seen a vehicle that looks blemished: a car with texture of some kind on a door, or little mounts and waves dotting the hood. It’s not a good look. What you’re looking at is overspray. Overspray is a common problem with cars, especially after DIY or aftermarket paint jobs. There are things that hobbyists can do to limit overspray, and you are more likely to avoid problems with overspray if you work with a professional to get your vehicle painted, but overspray can happen to anyone — so it’s important to know the why and how of removing overspray. Overspray is unattractive. If you want your car to look its best on the road, or if you are a dealer trying to boost your sales at your car dealership, it’s best to remove it. That’s a common-sense thing, of course! Overspray often happens during a fresh paint job, so it stands to reason that most folks who have overspray on their car got it there by trying to make their car look better, not worse. Removing that overspray is the obvious next step. But it’s not just vanity. There are also financial reasons to keep your car looking its best. A proper paint job keeps a car protected from rust, and regular cosmetic work can actually help your vehicle better maintain its value. And when it’s time to actually sell your vehicle, looks are more important than ever. You’ll want to impress prospective buyers and get the most value possible for your used ride. It’s not unheard-of for car and truck fans to try their hand at painting their own vehicle. But when it comes to correcting mistakes made during this type (or any other type) of paint job, it’s best to leave things to the experts. Overspray removal is not an easy process, so it’s best for hobbyists and everyone else to leave it to the experts. Fortunately, there are specialists out there who can make short work of your overspray removal job. Reach out to the pros and seek their insight on your car, truck, or other vehicle’s overspray issue. You might be surprised to find out just how affordable and quick the work can be. Getting overspray properly removed is a sound investment in the value and appearance of your vehicle.